For a school project I put together a magazine with some friends and we taught others how to as well. We aren't professionals but here are some tips that should help you to make a magazine. Thank you! I will definatley check out the link. I have also followed your blog but it won't say pink lady 631 it will say sunny. 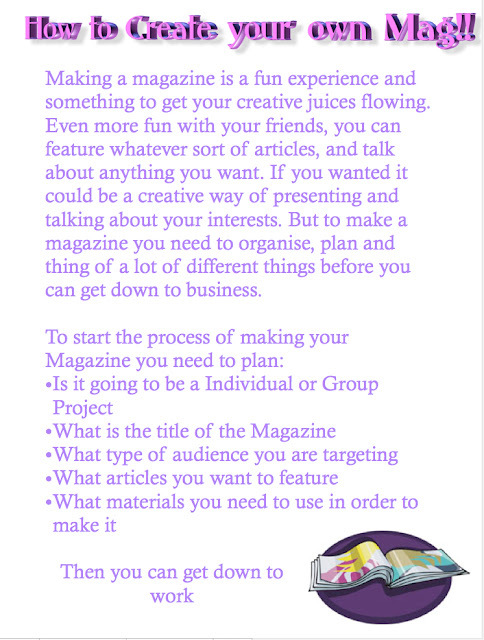 I ALWAYS wanted to know how to make magazine! Thanks again LOVES UR BLOG!